The Complete Plain Words (1954) is a classic book on writing by Sir Ernest Gowers, an accomplished civil servant, aimed at curing the British Civil Service of its habit of writing in officialese rather than in plain English. Though written for civil servants, it soon became a hit with the general public and has not been out of print since. ‘The bird that I am going to write about is the owl. The owl cannot see at all by day and at night is as blind as a bat. ‘I do not know much about the owl, so I will go on to the beast which I am going to choose. It is the cow. The cow is a mammal. It has six sides – right, left, an upper and below. At the back it has a tail on which hangs a brush. With this it sends the flies away so that they do not fall into the milk. The head is for the purpose of growing horns and so that the mouth is to moo with. Under the cow hangs the milk. It is arranged for milking. When people milk, the milk comes and there is never an end to the supply. How the cow does it I have not yet realised, but it makes more and more. The cow has a fine sense of smell; one can smell it far away. This is the reason for the fresh air in the country. ‘The man cow is call an ox. It is not a mammal. The cow does not each much, but what it eats it eats twice, so that it gets enough. When it is hungry it moos, and when it says nothing it is because its inside is all full up with grass'” (39). In recent days a couple of friends asked me if I’d been keeping up with my blog, which brought to mind that indeed, since this unusually busy fall semester began, I’ve broken one of my 2015 resolutions: To post here at least once every two weeks. (My last post was over a month ago.) 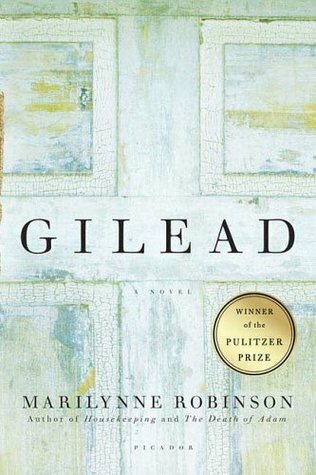 The good thing is that this pushed me to do this third and last post on Marilynne Robinson’s breathtakingly beautiful, and beautifully written, Gilead (Picador 2004). To re-cap, the book is written as a series of letters from a father who is soon to die to his young son, and in it he speaks of his father and grandfather who, like him, are preachers, and of the ties, and loves, and even sins, that bind these generations. Like the first two I shared, I love this excerpt for the way it captures beauty – the beauty that a man beholds in the woman he loves, the son he cherishes – and which he connects to God, its source, in a most appropriate expression of gratefulness and awe. “I can tell you this, that if I’d married some rosy dame and she had given me ten children and they had given me ten children and they had each given me ten grandchildren, I’d leave them all, on Christmas Eve, on the coldest night of the world, and walk a thousand miles just for the sight of your face, your mother’s face. And if I never found you, my comfort would be in that hope, my lonely and singular hope, which could not exist in the whole of Creation except in my heart and in the heart of the Lord. That is just another way of saying I could never thank God sufficiently for the splendor He has hidden from the world – your mother excepted, of course – and revealed to me in your sweetly ordinary face” (237). “I feel sometimes as if I were a child who opens its eyes on the world once and sees amazing things it will never know any names for and then has to close its eyes again. I know this is all mere apparition compared to what awaits us, but it is only lovelier for that. There is a human beauty in it. And I can’t believe that, when we have all been changed and put on incorruptibility, we will forget our fantastic condition of mortality and impermanence, the great bright dream of procreating and perishing that meant the whole world to us. In eternity this world will be Troy, I believe, and all that has passed here will be the epic of the universe, the ballad they sing in the streets. Because I don’t imagine any reality putting this one in the shade entirely, and I think piety forbids me to try” (57). “To my writing classes I used later to open by saying that anybody who could talk could also write. Having cheered them up with this easy-to-grasp ladder, I then replaced it with a huge and loathsome snake: ‘How many people in this class, would you say, can talk? I mean really talk?’ That had its duly woeful effect. I told them to read every composition out loud, preferably to a trusted friend. The rules are much the same: Avoid stock expressions (like the plague, as William Safire used to say) and repetitions. Don’t say that as a boy your grandmother used to read to you, unless at that stage of her life she really was a boy, in which case you have probably thrown away a better into. If something is worth hearing or listening to it’s very probably worth reading. So, above all: Find your own voice” (50). So whether you want to become a professional writer or simply write better and more effective e-mails, have you ever thought much about developing your “voice”? And how often do you have others read your work, not to mention reading it yourself? 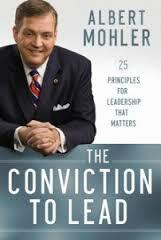 In his excellent book on leadership The Conviction to Lead: 25 Principles for Leadership That Matters (Bethany House, 2012), President of the Southern Baptist Theological Seminary Al Mohler urges leaders to embrace the digital world and social media to further their message and join the cultural conversation. “Twitter is fast becoming the leading edge of social communication. 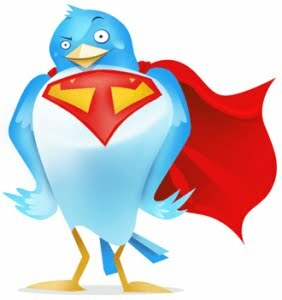 I let Twitter feed my Facebook page, and I work hard to inform my constituencies and Twitter followers day by day. Twitter is now my first source for news. Tweets announce headlines, and I follow the links to the news stories. It is a huge time-saver and alert system. 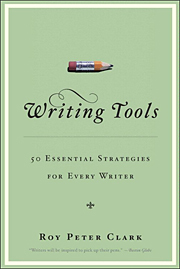 In his helpful book Writing Tools: 50 Essential Strategies for Every Writer (Little, Brown, 2008), Roy Peter Clark offers these “tricks” for writers, though they can be used by anyone who wants to improve their writing. Do you ever do any of these? Read to listen to the voice of the writer. Read the newspaper in search of underdeveloped story ideas. Read online to experience a variety of new storytelling forms. Read entire books when they compel you; but also taste bits of books. In choosing what to read, be directed less by the advice of others and more by your writing compass. Sample – for free – a wide selection of current magazines in bookstores that serve coffee. Read on topics outside your discipline, such as architecture, astronomy, economics, and photography. Read with a pen nearby. Write in the margins. Talk back to the author. Mark interesting passages. Ask questions of the text.